This vintage brass nautical cage light with white globe is about 8 inches tall. The widest point of the light is about 5 inches. 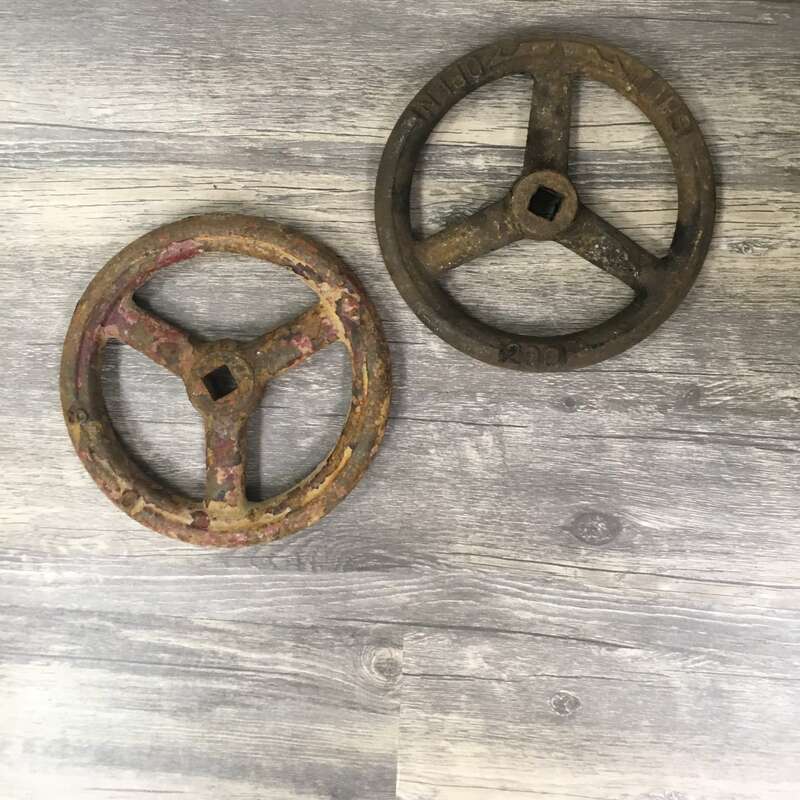 The base has two mounting lugs that are 3 3/4 inches off center of each other. This light weighs about 3 1/2 pounds. 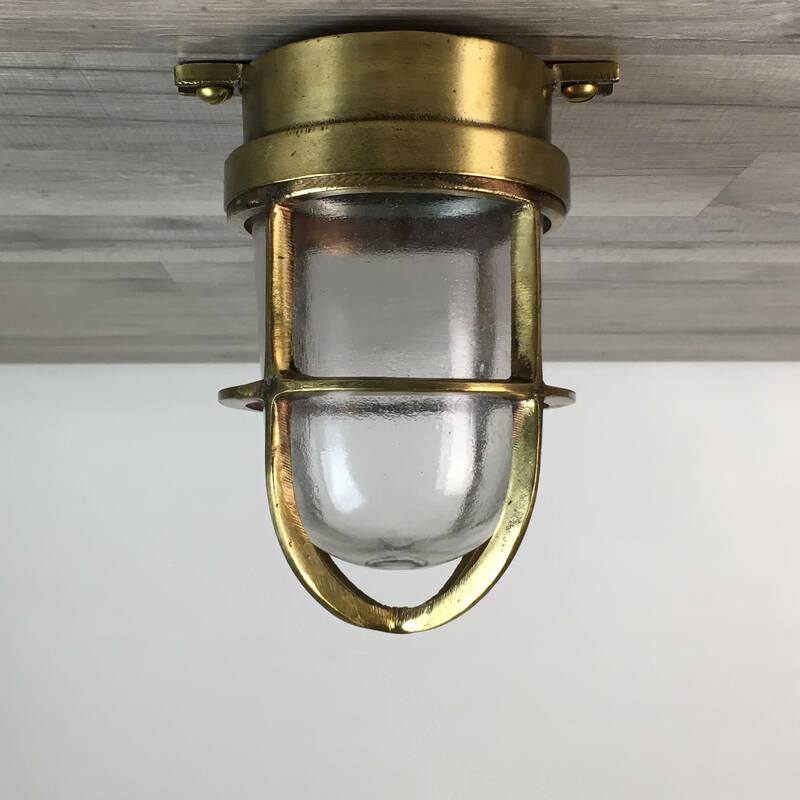 This vintage brass nautical cage light with white globe was salvaged from the deck of a real working vessel. You will find some surface wear, and the cage is in excellent condition. The unique white glass globe is in excellent condition. There may be minor scratches on the glass. The White glass globes are typically used in lower light areas such as hallways in vessels. The light has been rewired with new UL-listed wiring and bulb socket. Rated for any voltage 250 volts or less. The bulb socket takes a medium base bulb of 60 watts or less. This light may need one of our 6 inch brass adapter plates for an additional $20 each. The plate helps cover the junction box opening in the ceiling. Order the plate and light and we will install the plate at no additional charge. You will be shipped the small nautical ceiling light shown in the photos.